"Blue Lake, Fairview Lake, Sundial Lake, and Company Lake, Oregon"
Click image to enlarge Blue Lake and swimming beach, Blue Lake Regional Park, Oregon. Image taken November 19, 2005. 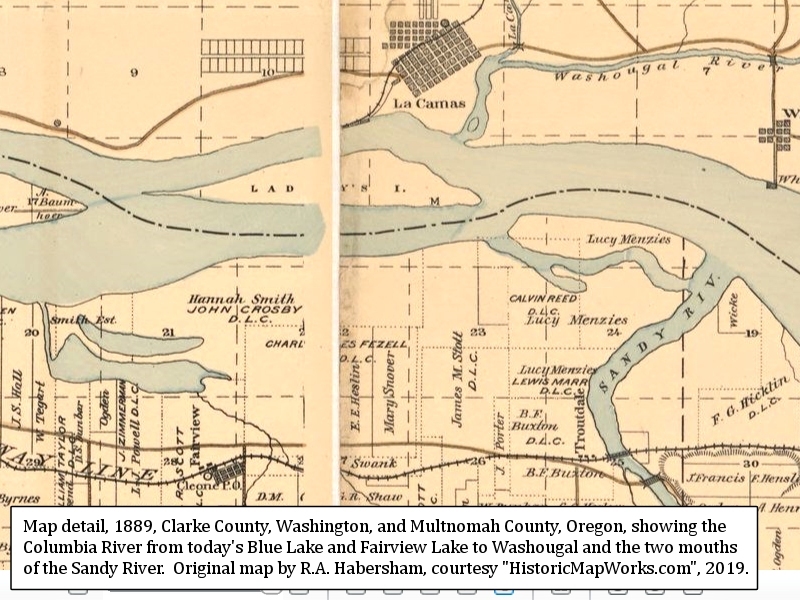 The twenty miles of Oregon's Columbia River floodplain between the Willamette River (Columbia River Mile (RM) 101) and the Sandy River (RM 121), is home to numerous lakes, ponds, and waterways. 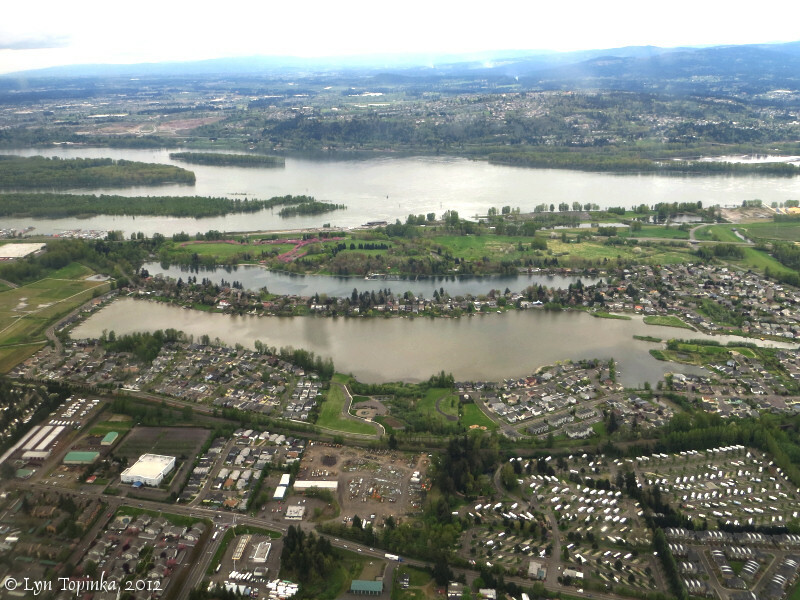 The majority of the floodplain is dominated by the Columbia Slough, an area of 32,700 acres, six lakes, three ponds, and 50 miles of waterways, and today home to the Portland International Airport. The eastern few miles is a lowland first used for farms and ranches before becoming home to Troutdale's World War II era Alcoa/Reynolds Aluminum Plant. Early maps show four lakes located in this area: Blue Lake, Fairview Lake, Company Lake, and Sundial Lake. 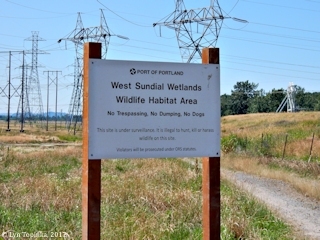 Today this eastern floodplain is home to the Troutdale-Portland Airport, FedEx, Amazon, and the Port of Portland's West Sundial Wetlands Wildlife Habitat Area, plus the communities of Fairview and Troutdale. 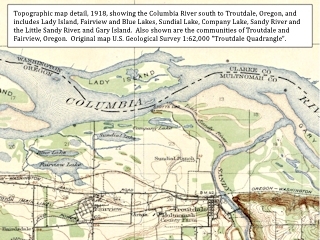 Click image to enlarge Fairview Lake (foreground) and Blue Lake (behind), with McGuire, Government, and Ackerman Islands on the Columbia. View from airliner heading towards PDX. Mid afternoon, clouds, gray, and drizzle. 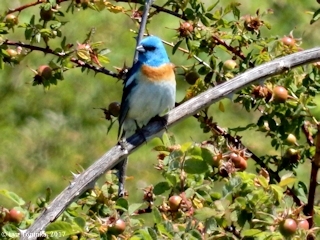 Image taken April 24, 2012. The Blue Lake area was once the location of an Indian village which was seen but not visited by Lewis and Clark. 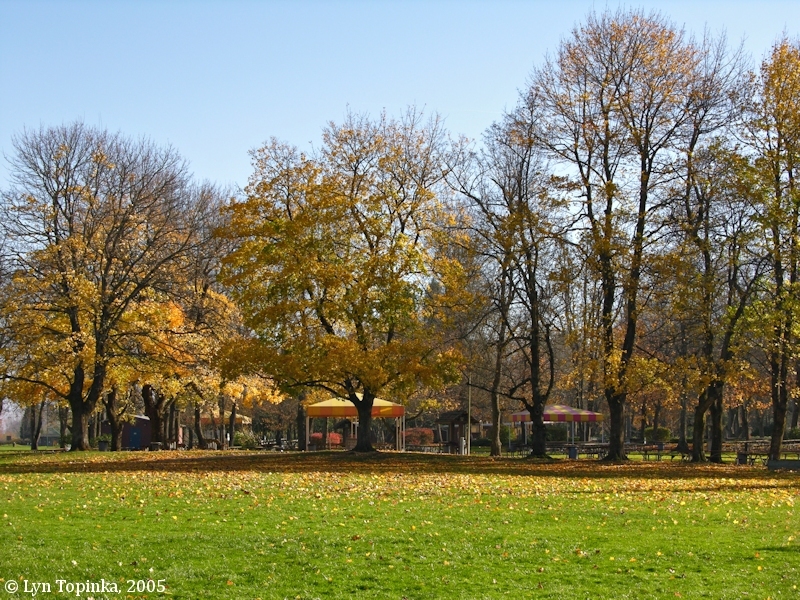 Captain Clark mentioned the village in his journal entry of April 2, 1806, as he made his way from their camp at Cottonwood Beach to the entrance of the Willamette River. 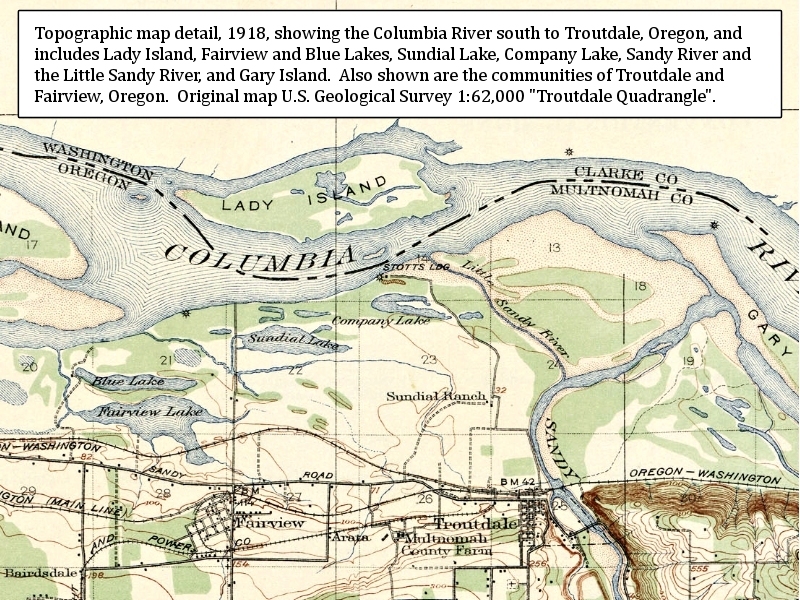 Click image to enlarge 1889 Map detail, Clarke County Washington, and Multnomah County, Oregon, showing the Columbia River from today's Blue Lake and Fairview Lake, east to the two mouths of the Sandy River. 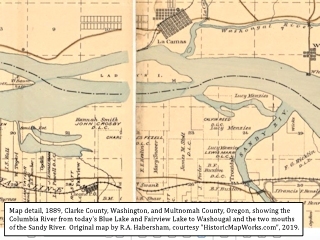 Original Map "Multnomah County" by R.A. Habersham, courtesy "HistoricMapWorks.com", 2019. Blue Lake and Blue Lake Regional Park are located on the south side of the Columbia River at River Mile (RM) 118. 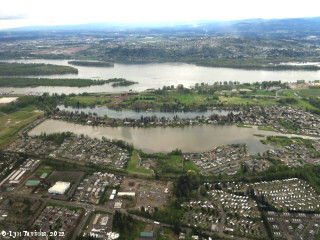 Downstream of Blue Lake is the Portland International Airport, and upstream is the Sandy River. 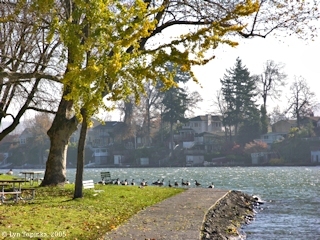 Just to the north along the river is located Chinook Landing, and to the south lies Fairview Lake, Interstate 84, and the communities of Fairview, Wood Village, and Troutdale. Blue Lake is a 64-acre natural lake fed by underground springs and provides the central feature of Blue Lake Regional Park. "Blue Lake (Multnomah County): This Blue Lake in the extreme southeast corner of the county was named by Pete and Jim Odell and Jake Lenz. They were on a hunting expedition when they looked down from above and said that the lake looked exactly like a blue huckleberry." 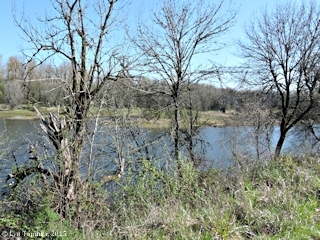 Click image to enlarge Blue Lake Regional Park, Oregon. Image taken November 19, 2005. 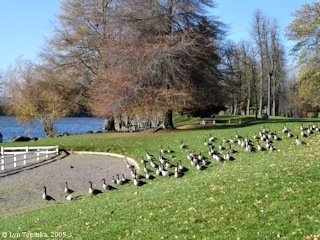 Click image to enlarge Geese, Blue Lake Regional Park, Oregon. Image taken November 19, 2005. 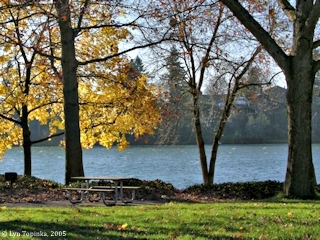 Click image to enlarge Company Lake, Troutdale, Oregon. Image taken March 26, 2015. 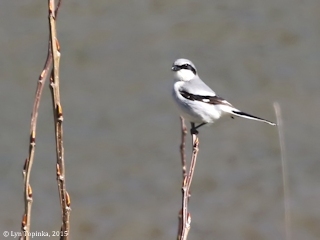 Click image to enlarge Loggerhead Shrike, Company Lake, Troutdale, Oregon. Image taken March 26, 2015. 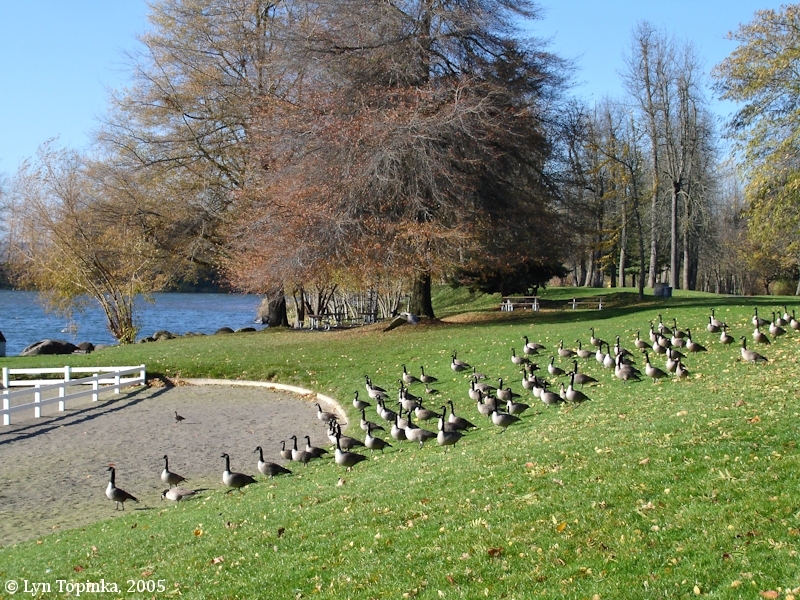 South of Blue Lake is another lake called "Fairview Lake", and the strip of community inbetween the two lakes is called "Interlachen". 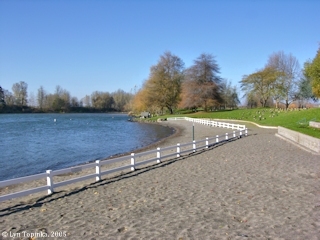 Fairview Lake is considered the beginning of the Columbia Slough watershed. 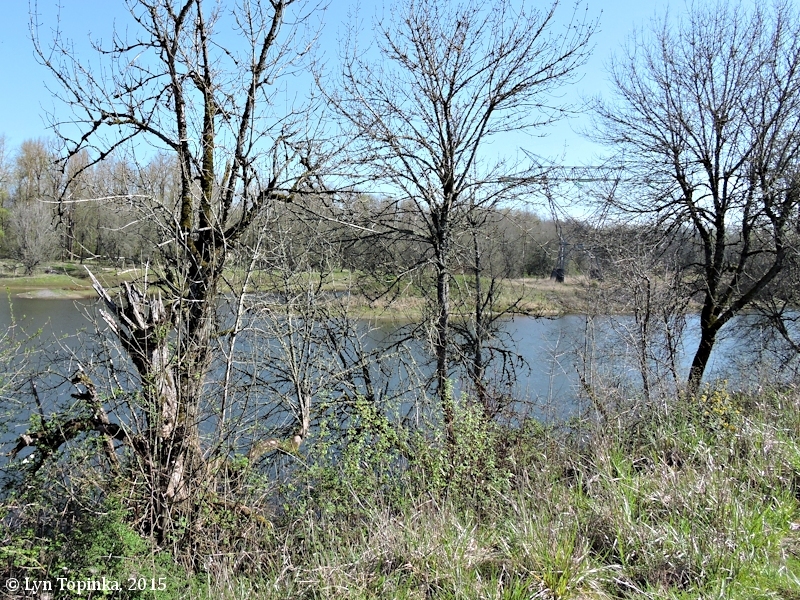 The Columbia Slough is a 60-square-mile watershed located on the floodplain for the Willamette River and the Columbia River, and includes approximately 32,700 acres, 6 lakes, 3 ponds, and 50 miles of waterways. The Columbia Slough begins at Fairview Lake and meanders west for 19 miles to Kelley Point Park where it empties into the Willamette. 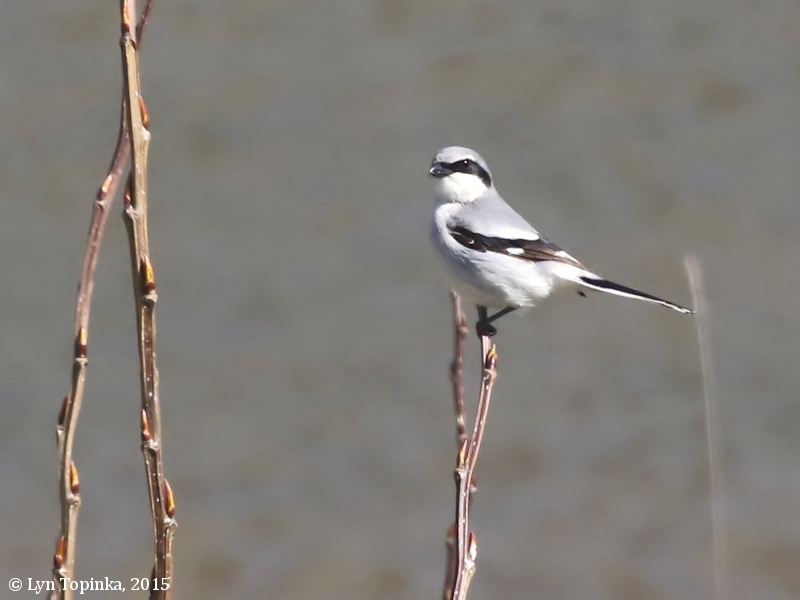 "... Blue Lake and Fairview Lakes are very different even though they are only 200 feet apart. 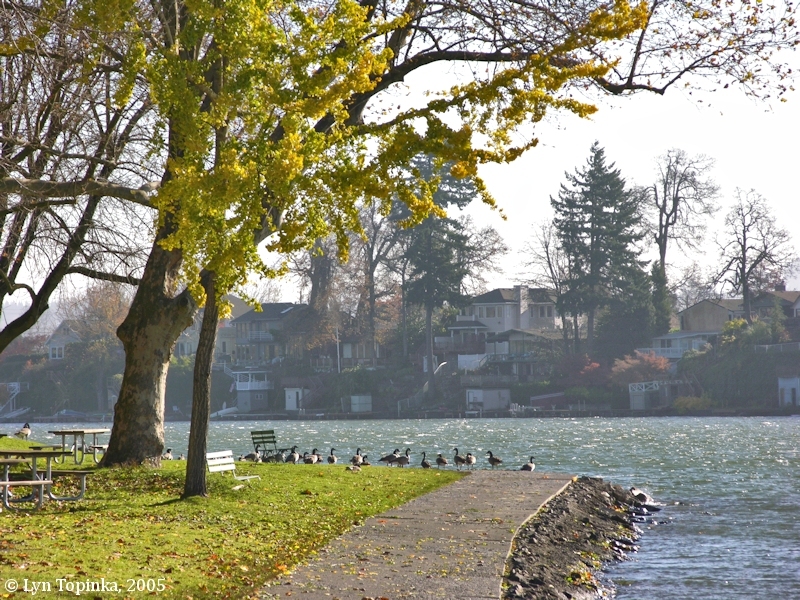 Blue Lake is filled with water that runs off of the Metro County Park on the north shore and 50 home sites on the south shore and groundwater that is pushed by hydraulic pressure of high water from the Columbia River. When the Columbia River is low, water levels in Blue Lake drop several feet. Fairview Creek collects the storm water from Gresham, Wood Village and Fairview, an area of about 6.5 square miles and empties into Fairview Lake, which drains into the eastern portion of the Columbia Slough, much of which is pumped into the Columbia River. ..."